Rev. Gene Kroger, age 81, of Madison, died Monday, May 14, 2018, at Madison Regional Health System, under hospice care. Funeral Services will be 11 AM, Thursday, May 17, 2018, at Madison United Methodist Church with burial at Rosehill Cemetery, Parker, SD. Family will be present for visitation 5-7 PM Wednesday, with a public Masonic service at 7 PM. Visitation will also be at the church one hour prior to services on Thursday. Gene Earl Kroger was born on December 20, 1936, to Lester and Gladys (Verley) Kroger in Canton, SD. Gene married Barbara Richter on December 28, 1956 in Parker. He graduated from Lennox High School in 1954, and attended SD School of Mines, and then the University of South Dakota where he completed his Bachelors degree. Later, he graduated with his Master of Divinity from North American Baptist Seminary (now Sioux Falls Seminary) in 1985. He served in the US Army, including Ft. Sill, OK in 1959, where he achieved the rank of Captain. Gene worked for many years as a sales representative for Johns Manville, before becoming a sales rep, and later co-owner of Dakota Harvestore in Sioux Falls. During his pastoral ministries that began in 1982, Gene served United Methodist Churches in Ellis, Wakonda-Irene-Viborg, Dell Rapids, and Rapid City South Maple. He completed his active ministry as Superintendant of the Central District. 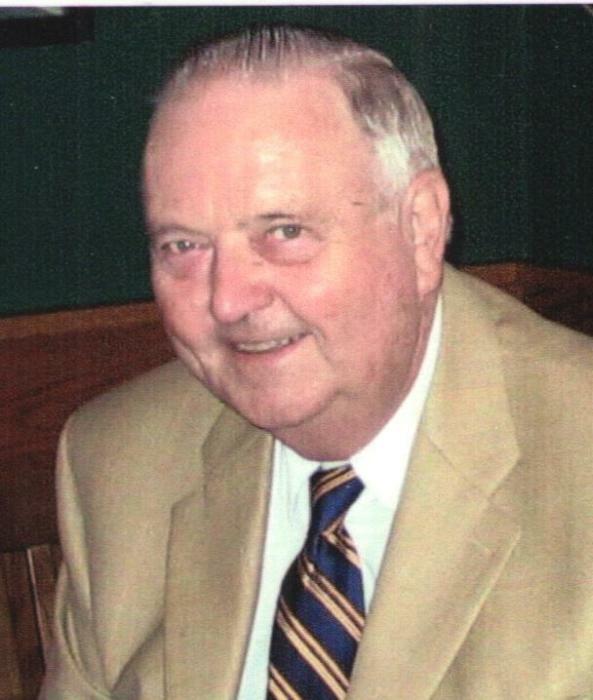 Gene was an active member of the Madison United Methodist Church, he was a mason for over 50 years and also a Shriner. Gene served on numerous boards throughout his career. He enjoyed fishing, hunting, and traveling with Barb. He is survived by his wife Barb of Madison; two sons, Greg (Joyceann) Kroger of Rapid City, and Gary (Kathy) Kroger of Shoreview, MN; one brother, Roger (Chaloy) Kroger of Las Vegas; four grandchildren; and four great-grandchildren. He was preceded in death by his parents; sister-in-law Marla Richter, and brother-in-law Gary Richter. In lieu of flowers, memorials may be designated to the Shriner's Children's Hospitals, 2900 Rocky Point Drive, Tampa, FL 33607, or UMCOR Water for Life Advance Special # 3020811, to Madison UMC, 304 Egan Ave North, Madison, SD, 57042, or a charity of your choice.